On a rainy afternoon in 2003, Beryl Stafford and her daughter took to the kitchen for a fun indoor activity: baking homemade oat bars. The result was a healthy, delicious treat that captured the hearts (and stomachs!) of Stafford’s friends and family, local cafes in Boulder, CO, and ultimately loyal fans nationwide. Fast forward sixteen years, and Bobo’s is now a key player in the natural food space. 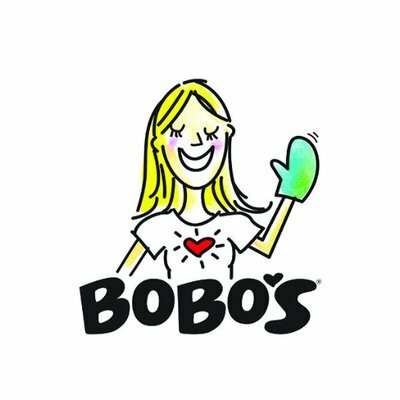 Yet as competitors continue to pop up and capitalize on the non-GMO, vegan, gluten-free ingredient trend, Bobo’s has had to focus its efforts on maintaining a strong digital presence, particularly across social media channels. Bobo’s turned to Cohley to run a variety of influencer campaigns and generate high-quality digital assets that would help them stand out in an increasingly saturated market. Their first campaign was strategically timed to begin in early January—when consumers are most committed to their New Years health resolutions—and spanned over the course of two months. This helped position Bobo’s as a go-to healthy option for the New Year and create a steady drumbeat of content and brand awareness throughout the beginning of 2019. By leveraging Cohley’s SmartMatch(™) tool, Bobo’s identified family-oriented influencers who were passionate about healthy living. They then selected 31 of these influencers to post on Instagram about their homemade oat bars and required them to include caption messaging around how Bobo’s is a healthy, delicious, and convenient snack for parents and kids alike. In conjunction with the social component, each creator was also required to submit four unique images for the brand to repurpose across its digital channels. In their very first Cohley campaign, Bobo’s saw 31 Instagram posts go live within a 2 month period. These posts garnered 2 million impressions and sparked a 12% increase in follower growth. Additionally, the campaign resulted in an earned media value of nearly $30K—or 660% above their initial influencer spend—and Bobo’s ultimately acquired 140 unique assets that they could then reactivate across all digital channels. In summary, by working with Cohley, Bobo’s was able to heighten awareness around its healthy, homemade oat bars just in time for consumers’ New Years resolutions. They managed the entire process without ever having to leave the Cohley platform and simultaneously produced a diverse library of authentic, family-friendly content to use throughout the year. Like what you see? Talk to us about running your influencer campaigns on Cohley!